Pendulum Summoning will undergo its fi nal evolution in Maximum Crisis with a pair of Pendulum Monsters with Scales of 0 and 13, opening up the ability to Pendulum Summon monsters of any Level in any Deck! But that’s not the only type of Summoning that’s evolving. 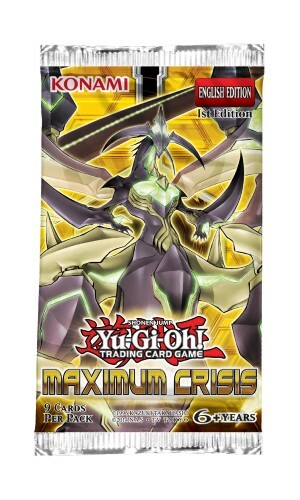 Following up on February’s Fusion Enforcers set, Maximum Crisis introduces a new Fusion Summoning Spell Card that lets you keep your Fusion Monster while giving back the monsters you just fused together!